Dirty Little Secret (in A-Minor) | The Ramblings and Rants of Drea M.
*DISCLAIMER: I am not, nor do I claim to be, anything even remotely close to an expert on the subjects broached in this post (with the possible exception of the bit about spit puddles). I am a total amateur in every single possible sense of the word, so take your snobbery elsewhere. Most people, if asked what kind of music I listen to, wouldn’t hesitate – I make no secret of my obsession with, er…loyalty to certain musical brands. (The Killers and The Cure, for instance…and not just because I enjoy the wordplay. Which I do.) Yeah, alternative/indie/goth/rock, mostly – I’ll even admit to the occasional momentary lapse into the Carpenters (usually in the shower, when I am still half-asleep and being primarily controlled by some lower part of my reptile brain). But what people don’t know is that I’m a closet classical music freak. (If you are one of the many, many members of the population who find classical music like nails on slate, you might want to bow out now. You will not be judged.) In fact, being judged is why I don’t usually tell many people about this. 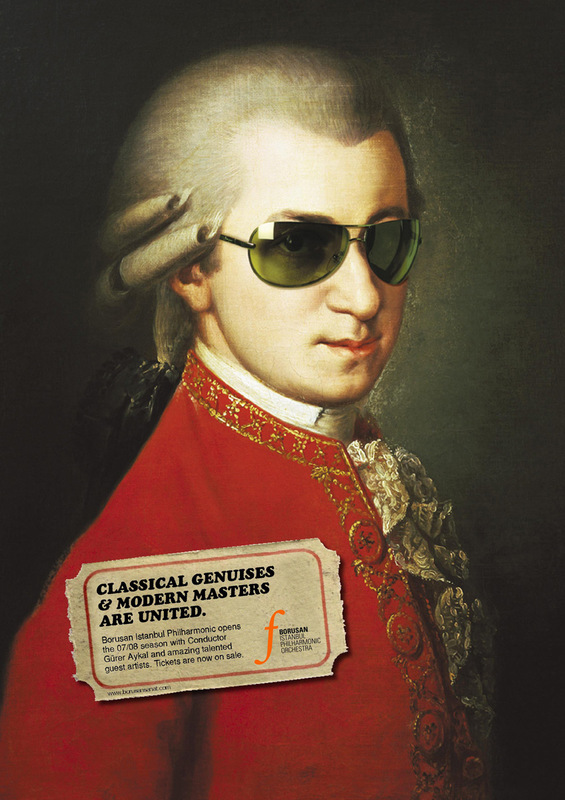 People who rhapsodize about their love of classical music sound like assholes. And many are lying. Many are probably also basing this claim on their familiarity with samples from Carmina Burana in the soundtrack for [insert random movie title here], which is not necessarily a bad thing. And music truly does soothe the savage breast. I can be in full-tilt moonphase demon mode, and three seconds of Vivaldi and I’m all better! (And if anyone posts a comment giggling about me misspelling ‘beast’, there’s going to be a whole new post tomorrow about classical theatre.) An ordinary day, full of ordinary dullness and the chores of everyday life…can be elevated to fine art by the simple addition of some really beautiful classical music. It’s like getting a brain massage while doing the dishes. And there is music for every mood! Dreamy? Vivaldi’s Four Seasons. Need empowerment? Peer Gynt by Grieg. Tense and need to sort out the chaos in your mind? Pretty much anything by Mozart (except…) Miserable and want to wallow? Mozart’s Requiem. Jaunty and feeling like doing a silly walk? Ravel’s Bolero. Daydreamy or in love? Bach’s Suite No. 3 (also very nice for setting the mood during an afternoon nap in the sun). Bipolar? 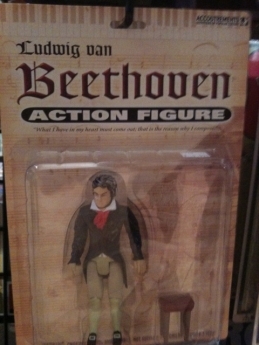 Much of Beethoven’s body of work will suffice. 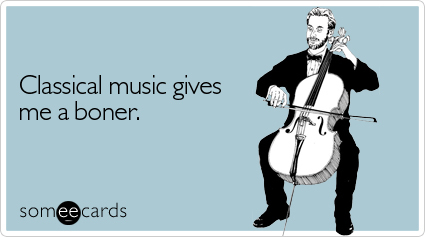 I don’t know if you can ‘acquire’ a taste for classical music, though. Most people either love it or hate it, I think, and for me it truly was love at first listen. I loved a lot of music as a kid, which was kind of weird, because there was never really much music in my house. My parents had a small collection of eight-tracks (er, should I be admitting that? If you don’t know what 8-tracks are…well, piss off) from their teen years, and I would commandeer the machine for whole afternoons of listening to Pink Floyd and Cat Stevens…but I also had this tiny little glass music box with brass cogs inside that played ‘Für Elise’ and I would wind that sucker up over and over, pressing my ear to it to listen to its tiny tinkly sounds. Even so, I was never exposed, really, to classical music until I was around 10 years old. I was in sixth grade and because we would be in junior high the following year, the junior high band came to perform a concert for us in an attempt to recruit future band nerds. Now, of course, looking back, it seems quite laughable. I can only imagine what the junior high band must have sounded like. Trust me, I know. But because I’d never been in a room of any size with a live orchestra, I had no idea what to expect. As I sat cross-legged on my coat on the gym floor that day, I fell in love. Watching those kids – those ordinary kids – looking all dignified and serious with their dainty little flutes and impressive-looking brasses and the timpani (just like in The Catcher in the Rye! ), I felt myself lifting out of my body and floating up and up, out the open skylights and into the atmosphere. I’d never felt anything like it. I begged my parents to let me join band the following year. But I was already heavily into skating and they really didn’t think I should spread myself so thin, plus the added expense of an instrument…so I entered seventh grade without joining band. But don’t worry – by eighth grade, they were sick of me whining, so I was fitting myself out for a clarinet a bit late, but there I was. In my grey skirt, white blouse and burgundy crested blazer, my shiny silver and black woodwind in hand. Oh, I loved it. Yes, I hated the feel of the reed on my lip. I wasn’t crazy about the mutually-accepted nonchalance of musicians regarding spit puddles. Being too keen moved me up to first chair before I was really ready for the responsibility of having to put in extra practice time for solos, which led to the occasional ‘Oops, I just split my last reed, sorry!’ moment. But I loved the comradery, I loved the special occasion feeling of backstage before a concert, I loved being surrounded by and a part of the music during a performance, I loved getting out of class for rehearsals. However, I still sort of sucked, and I eventually learned I preferred listening to performing. The best was yet to come. In university, I was enrolled in the core acting program and since we acting students were always around anyway and usually hungry, the performance hall that shared the theatre school space gave us first choice of ushering jobs. That’s right – I ended up getting paid to sit in the back of a darkened theatre for symphony performances, operas, music recitals, ballets, letting the music wash over me…oh, my god, it was HEAVEN. It was in those years that the music crept into my soul and I’m still as smitten as I ever was. But I can’t help but wonder if my neighbors love it as much as me, ’cause I’m playing it kind of loud today.